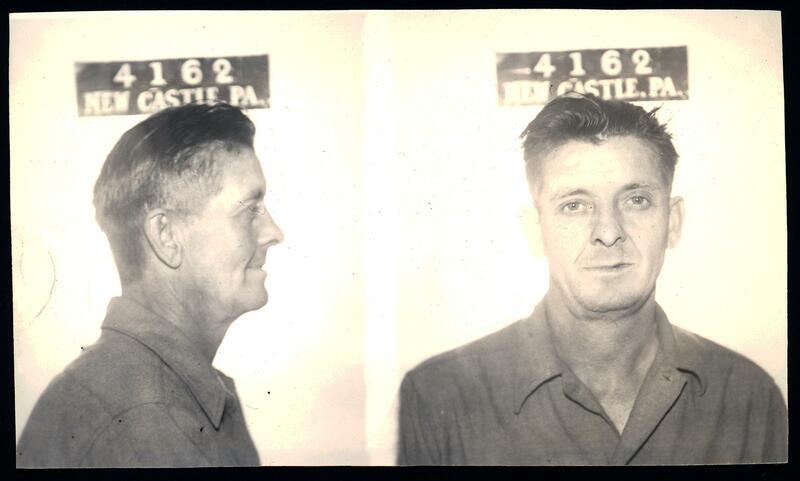 Frank Wilson’s arrest on a charge of disorderly conduct didn’t make the New Castle News, even though it had been a slow weekend. The day he was arrested, Saturday, 5 October, 1940, began with the discovery of a crime at Keefe’s Cafe, on South Mill street. Some time before the cafe opened up, a thief had smashed the glass in the ventilator in the door, squeezed in through the small opening, stolen $57 in cash and $192 in endorsed cheques, and left via the rear door. It was the biggest crime of the day, but the culprit would never be apprehended, although the police couldn’t have known that at the time. That afternoon, a lesser crime occurred over on the east side. The proprietor of a grocery store there noticed that a group of local boys seemed to be coming into his shop rather more frequently than usual with empty gallon and half-gallon cider and vinegar bottles, for which he would give them money or fruit. Growing suspicious, he checked the bottles carefully and realised that they were his own — the boys were carrying them out of his backyard and selling them back to him. The shopkeeper, perhaps feeling embarrassed at having been so green as to have fallen for such a scam, settled for yelling at the boys rather than getting the police involved. That night, presumably around the time Frank was getting arrested, someone broke into Andy Skiba’s car on Long avenue and stole a red dress, a blue dress, a white shirt and a neck-tie, and someone else stole Norman Stoner’s bicycle on East Washington street. The front page of the paper was filled with stories about German attacks on Britain, and the only picture is of a mass of Londoners sheltering from a bombing raid in an underground station. America’s first ever peacetime conscription had just begun. Within a month, 75,000 young men would be in uniform and, in just over a year, America would be at war with Germany and Japan.